Cubs is for boys and girls aged 8 - 10.5. We have three Cub Packs, Mondays (6.00 - 7:30), Wednesdays (6.30 - 8.00) and Fridays (6.30 - 8.00). 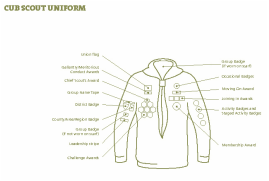 There are loads of badges to be earned, which can be worn on the Cub's uniform to show how well they're doing. Above all else, Cub Scouting is about having lots and lots of fun! Please click here to sign up for Summer Camp 2018! Since summer 2012, we've taken Cubs and Scouts kayaking on the River Don. To make sure that sessions are safe as well as fun, we take groups of 8 youngsters. Info can be found on our activities page here. This event invites youngsters to attend who impress due to their attitude, behaviour and conduct. Kids come who deserve it most! It's great fun, from kayak dodgeball with Cubs first dipping their nose in white water. If youngsters can't make it for any reason, short time scales make it difficult to invite another youngster. In this situation, we take a smaller group. 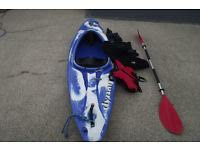 ​This activity runs just like our kayaking although not quite as often. We take up to 8 Cubs who have tried their hard with their behaviour and have tried to do their very best. Each Pack typically gets a chance about once every 18 months. This depends how many sessions the volunteer instructors can give (the same volunteer instructors run this for Scouts as well). If your Cub has been invited, you'll have an email. Info is also on our activities page here. We currently have waiting lists for both Wednesday and Friday Cubs. Priority is given to those children who are moving from Beavers. Any spaces that remain are allocated to the child who is next on the waiting list. If you are the parent of a young member who would like to be added to our Cub list, please get in touch by clicking on the join us page in the navigation bar above. The group is self funding and so charges a subscription. Info on subs can be found on our sub page here.